First director of the Académie royale d’architecture, François Blondel established a lasting model for architectural education that helped transform a still largely medieval profession into the one we recognize today. Most well known for his 1676 urban plan of Paris, Blondel is also celebrated as a mathematician, scientist, and scholar. Few figures are more representative of the close affinity between architecture and the "new science" of the seventeenth century. The first full-length study in English to appear on this polymath, this book adds to the scholarship on early modern architectural history and particularly on French classicism under Louis XIV and his minister Jean-Baptiste Colbert. It studies early modern science and technology, Baroque court culture, and the development of the discipline of architecture. 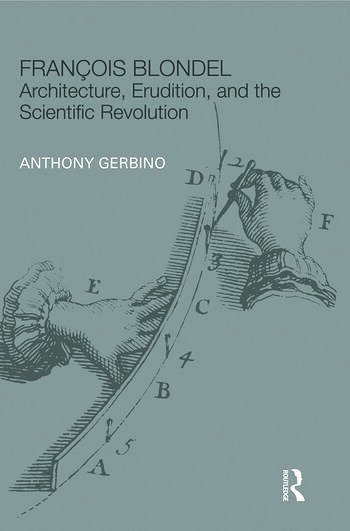 Anthony Gerbino is a historian of early modern architecture in France and England. His research focuses on the role of architecture in seventeenth-century scientific and academic circles and on the technical and mathematical background of early modern architects, engineers, and gardeners. He is an Associate Member of Worcester College at the University of Oxford and co-author of Compass and Rule: Architecture as Mathematical Practice in England 1500-1750 (Yale University Press, 2009).